The luxurious unctuous consistency of Sanctuary Spa Therapist’s Secret Facial Oil has gotten me addicted! 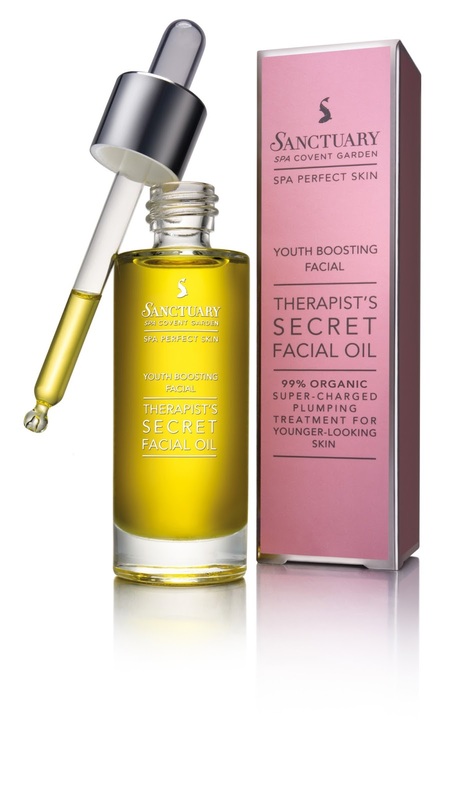 Therapist’s Secret Facial Oil is one of Sanctuary Spa’s secret step in a spa facial as this super food for skin works well to replenish the skin’s natural oil content and also provides skin rejuvenation. Sanctuary Spa Therapist’s Secret Facial Oil is one that smooths and nourishes the dry patches along my cheeks. Credit goes out to the concoction of pure oils, Sunflower, Jojoba and Wheatgerm Oil, known to be rich in Vitamin E which aids skin hydration. The formula also contains Rosehip seed oil, one of my favourite healing ingredients, which helps to rebuild and strengthen the skin while Precious Rose and Frankincense both soothe and calm the skin. It feels amazing when I gently tap a few drops onto my skin after serum or even alone. It takes a few minutes of gentle tapping and massaging to ensure the Facial Oil is evenly distributed and completely absorbed into the skin. The Facial Oil is housed in a simplistic glass bottle that makes it very easy to determine how much product is left and also the glass dropper appears to be more elongated than most other facial oils, so ensures neat application and easy handling. For me, it’s a wonderful therapeutic night treatment so that I could admire my glowing skin in the morning! Which facial oils are you currently loving? Product was provided for consideration only. This review is 100% based on my own thoughts and opinions. I am not affiliated with The Sanctuary Spa and did not receive remuneration to post this product review.